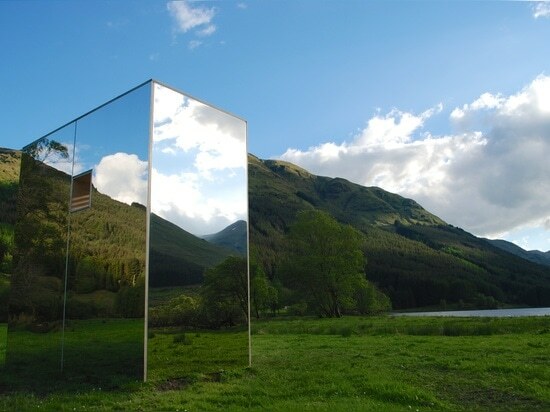 Angus Ritchie and Daniel Tyler designed the Lookout as part of their Advanced Architectural Design thesis at Strathclyde University in Glasgow, Scotland. 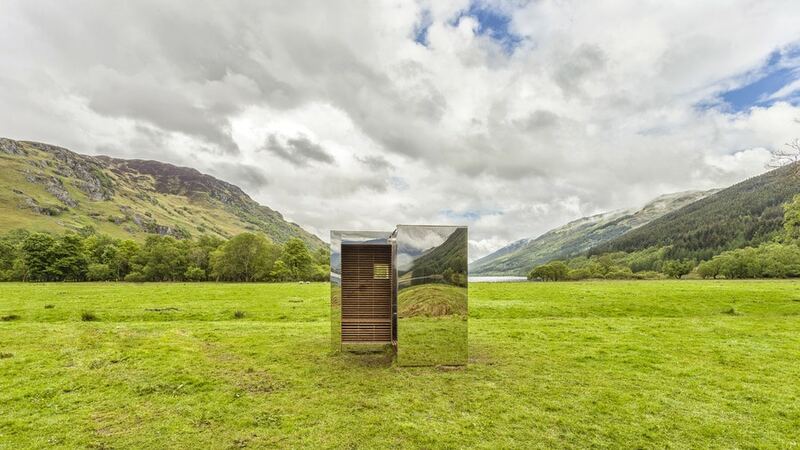 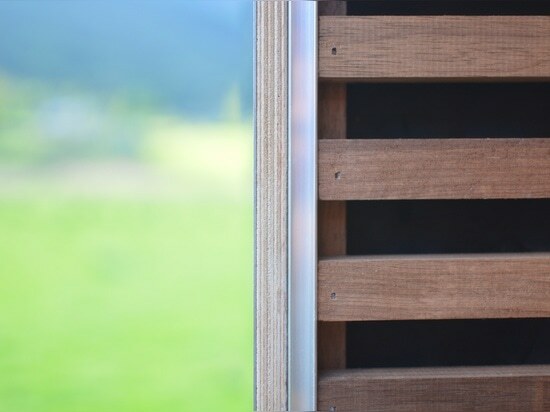 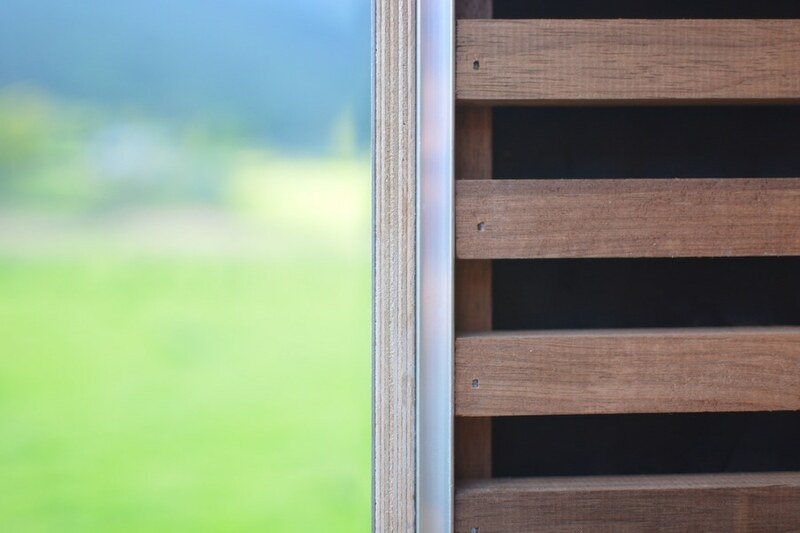 Created for the Scottish Scenic Routes Initiative together with the Loch Lomond and Trossachs National Park, the Lookout is a mirrored timber cabin that perfectly reflects the exquisite natural surroundings. 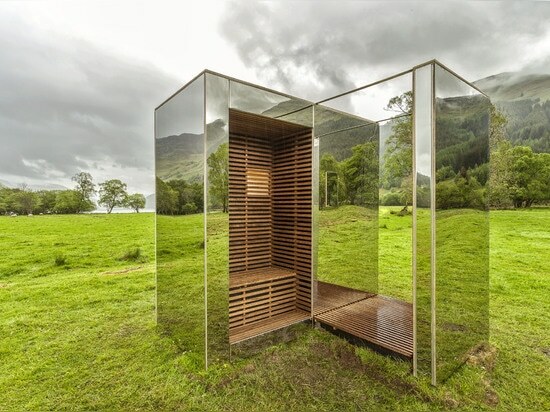 The two architecture students made the structure entirely by hand over a period of two months. 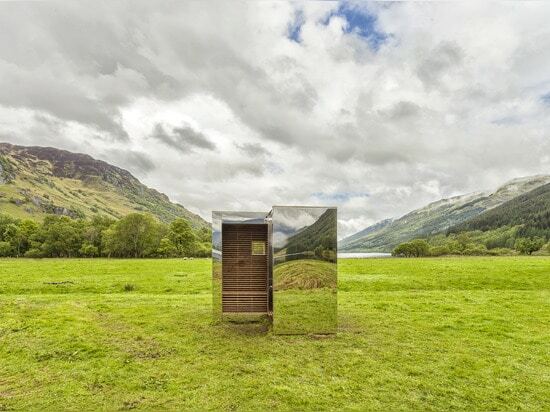 It consists of a timber frame structure clad in mirrored stainless steel that was laminated to 12 mm birch plywood. 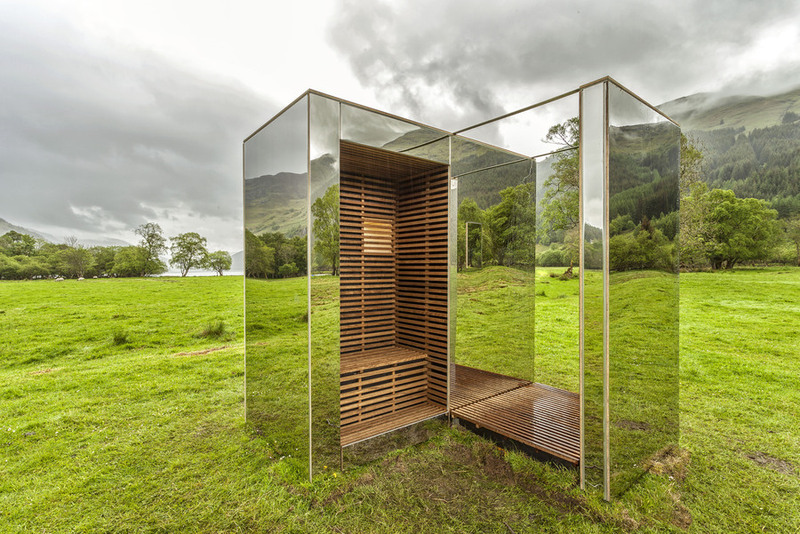 The interior of the 2440 x 2440 cube was carved out to accommodate users, allowing them to sit or stand. 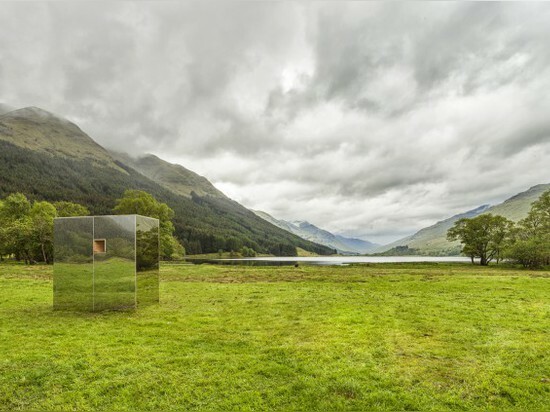 Depending on the angle from which it is approached, the structure alternately materializes or vanishes. 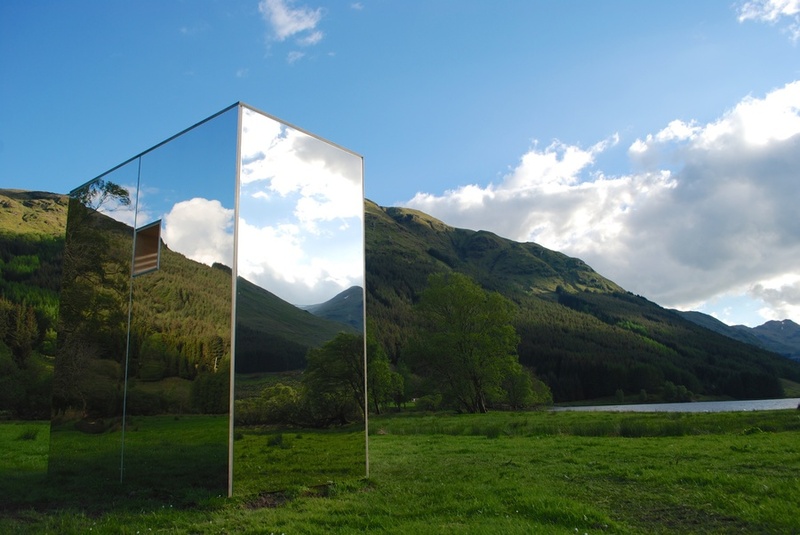 The two integrated seats provide a framework for the views of the surrounding lochs and a third view is provided by the single vertical panel. 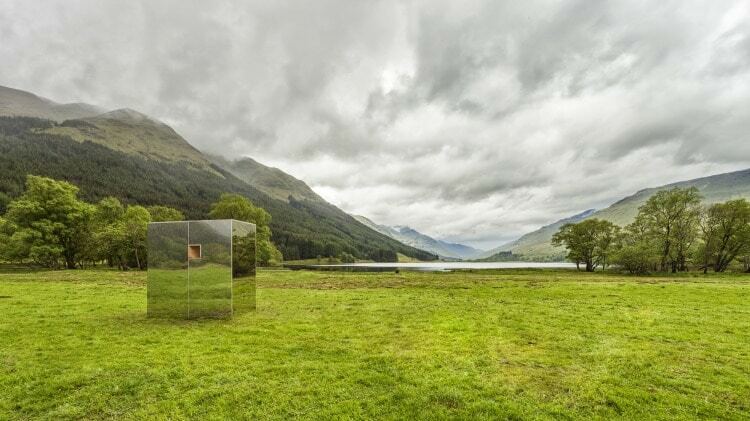 Accomplished for a mere £5000, the structure is a poetic impression of an inherently magnificent ecosystem.